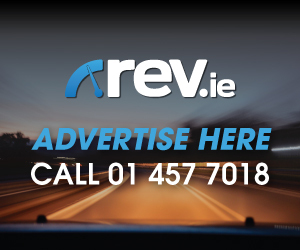 Another C-Segment SUV arrives on Irish soil but can it really compete? 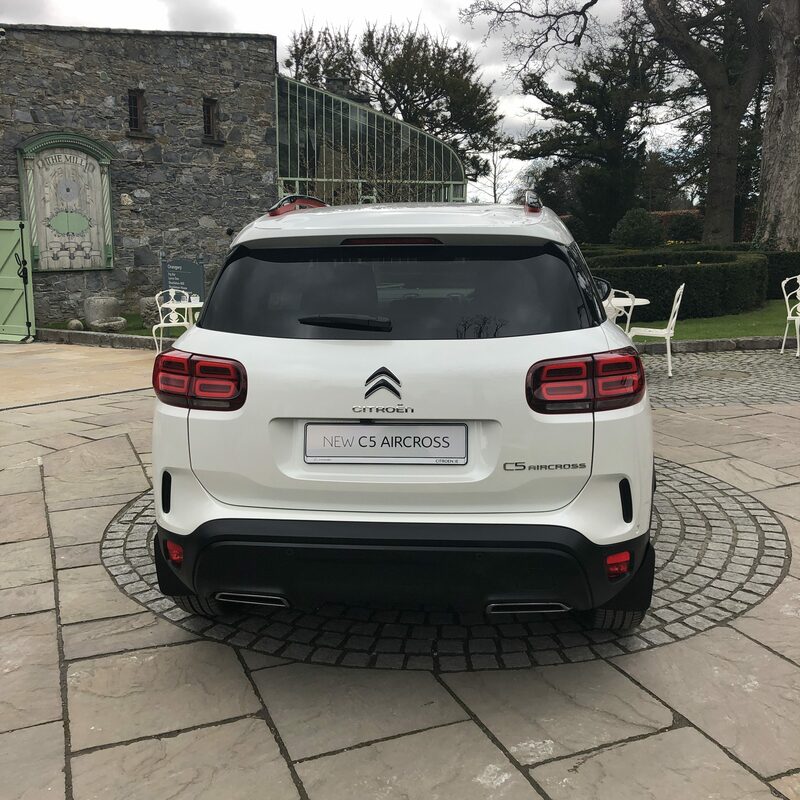 Last week we took some time out to join Citroën Ireland for the launch of their new C-Segment SUV, the C5 Aircross at beautiful Cliff at Lyons Estate. 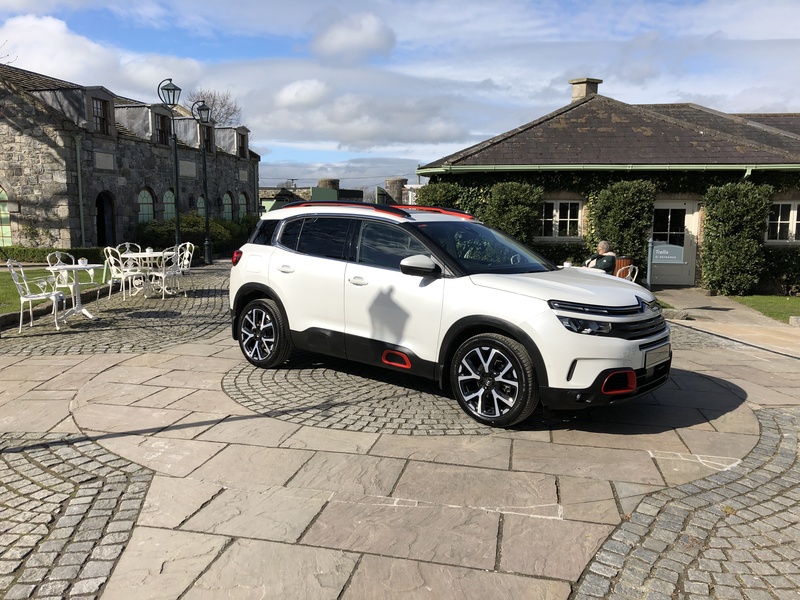 This all new C5 Aircross is now available to test drive from you local dealer in four trim levels Start, Touch, Feel & Flair with prices kicking off from €26,495. 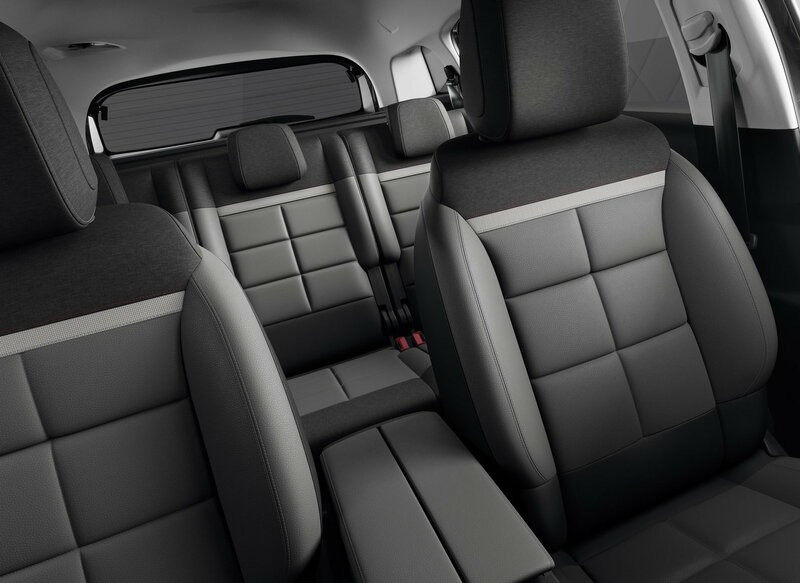 This firs thing we noticed when we laid eyes on the C5 Aircross was the generous proportions. Measuring 4.5m long, 1.7m high and 2.1m wide this B segment SUV is certainly offering bang for the buck with lots of class leading features. The front of is typical Citroën with tasteful upper light units that house the daytime running lights and indicators. The Aircross also has wheel arche extensions and lower body panels giving it that cool SUV look. Buyers can have the Airbump panels in personalised coloured along with front, side and roof bars for that hint of individuality. 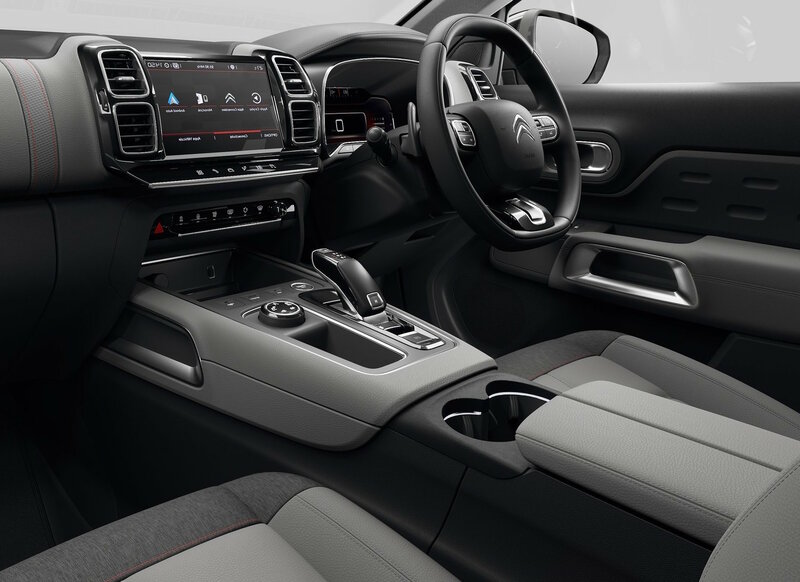 All versions of New C5 Aircross SUV in Ireland are equipped with Citroën’s Progressive Hydraulic Cushions suspension which deliver that well known ‘magic carpet ride’ for which the brand are famous for. 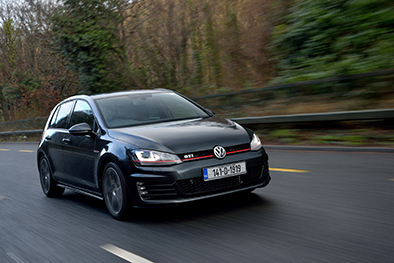 Something else standard on all models is the new ConnectedCAM, which, uses a factory fitted camera system built into the interior rear-view mirror to record movements in front of the car using full HD GPS technology. With the help of an integrated 16 GB memory card it can store photos and videos while footage from a collision will automatically save to directly to the device. We anticipate this will be a must have feature for lowering insurance premiums in the future and its great to see Citroën leading the way with this technology. 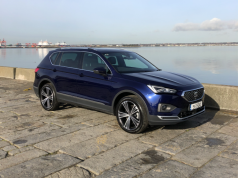 Not all models were available for us to test but we are told the entry ‘Start’ trim level includes features such as an 8-inch touchscreen display, cruise control, active safety brake and air conditioning. The ‘Touch’ edition adds items such as 17-inch alloys, rear parking sensors, folding mirrors, android auto & apple car play while the ‘Feel’ model benefits from 18-inch alloys, front parking sensor, privacy glass, wireless phone charging and active blind spot detection. The ‘Flair’ is the top specification level and includes additional items such as 19-inch alloys, Citroën connect navigation, keyless entry and keyless start, a Panoramic Sunroof with interior LED ambient lighting and various driver assistance systems such as park assist, active lane departure warning and adaptive cruise control. Highway driver assist is also standard on Flair models coupled with the automatic transmission, this feature combines adaptive cruise control, active lane departure warning and a stop & go feature to manage driving semi-autonomously in specific driving conditions. So what’s powering the new C5 Aircross? Well you have a choice of two petrol and two diesel engines. The popular PureTech petrol comprises of a 1.2litre 130hp engine paired with a 6-speed manual transmission and a 1.6litre 180hp unit, which comes with the choice of a 6-speed manual, or 8-speed automatic transmission. The Blue HDI diesel offers a 1.5litre 130hp engine with the choice of a 6-speed manual or 8-speed automatic transmission and a 2.0litre 180hp unit which comes as standard with an 8-speed automatic transmission. 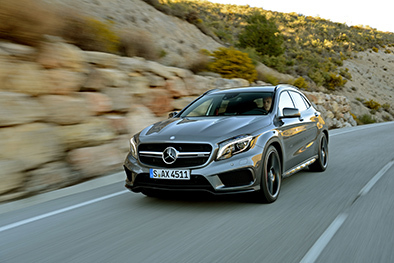 We took the 1.2litre 130hp variant for a quick drive over some mountainous terrain. The good news is the peppy little 1.2 doesn’t feel the weight of the body and drives superb even with a few adults on board. It corners well for a raised SUV and as you would expect the ride is exceptional over rough surfaces. I really can’t commend Citroën enough on suspension comfort. 18-inch wheels on most SUV’s result in a harsh ride but the Progressive Hydraulic Cushions suspension eliminates that with ease. 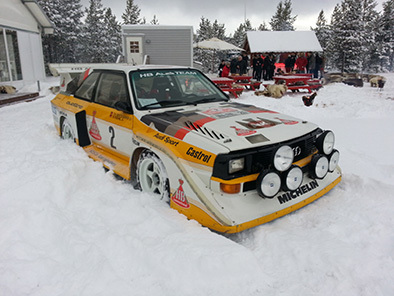 Citroën are on a role right now in our humble opinion. The C5 Aircross is a real treat to drive and we can’t wait to spend a little more time with it. 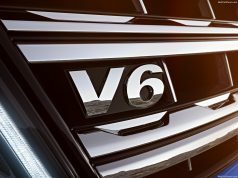 Finally the C-SUV segment has a real alternative and we think its well worth a test drive if you are in the market to change. 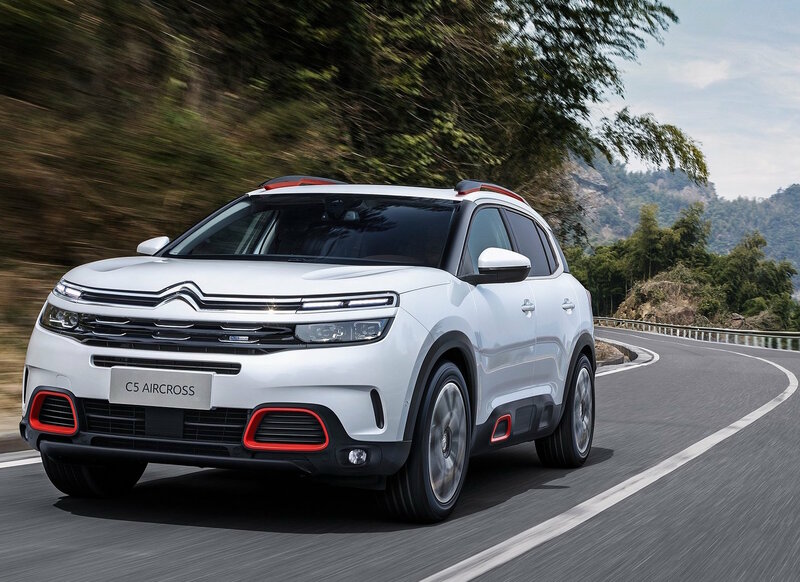 It is also worth nothing that the C5 Aircross will be the first Citroën available with plug-in hybrid (PHEV) technology which is due to arrive in Ireland early next year offering low CO2 emissions and a range of 50 km in fully electric mode. This will mean that Irish buyers will have real choice when it comes to picking a power plant. 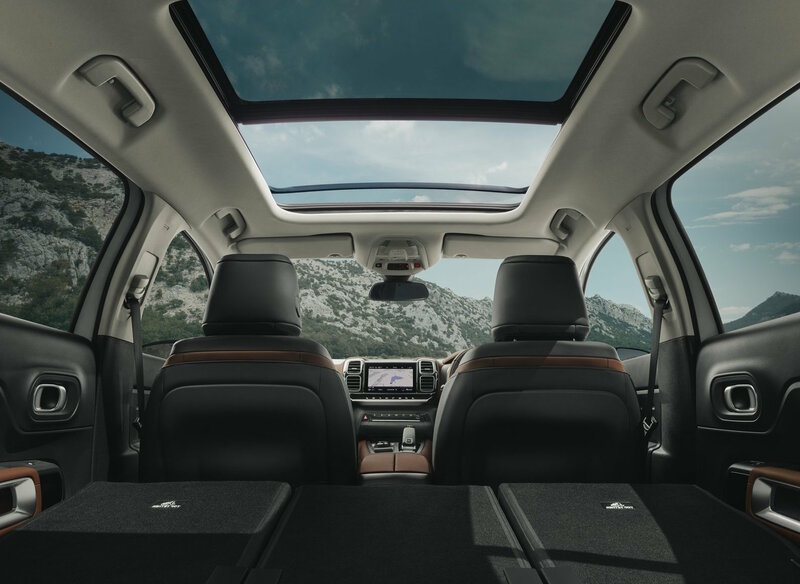 We wish Citroën every success with the new C5 Aircross and look forward to reporting back after we spend a little more time in the drivers seat.